ARGENTINA: Late payments from clients abroad and frosty relations with the political elite at home made life hard for Impsa. But with a restructuring deal and a new president, things are looking up. 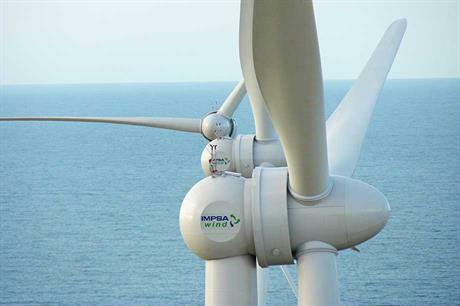 Argentina-based turbine manufacturer Industrias Metalurgica Pescarmona (Impsa) has been through more than a few crises in its long history. Launched more than a century ago when Argentina was one of the world's richest nations, the engineering firm has survived the Great Depression, the rise of Peronism, a bloody military dictatorship and the 2001 financial crisis, when Buenos Aires reneged on debts worth $132 billion. However, Impsa's most recent financial strife began after Venezuela's state-owned power firm Corpoelec delayed payment for ten hydraulic turbines worth more than $1 billion. Strained relations with Argentina's president at the time, Cristina Fernandez Kirchner, did not help. In 2012, the government stripped Impsa of a contract to supply turbines to the Nestor Kirchner hydroelectric dam and handed the job to a consortium that included Chinese company China Gezhouba Group. Impsa's efforts to reach agreement with its debtors were hobbled late last year when the Inter-American Development Bank (IABD) filed a suit in a New York court to embargo company assets over an unpaid loan of $150 million. But with the election of the pro-business mayor of Buenos Aires, Mauricio Macri as president last November, Impsa's fortunes have begun to change. Speaking exclusively to Windpower Monthly, CEO Juan Carlos Fernandez said this is because their interests are aligned. The government is encouraging private business, and triggering fresh investment in hydroelectric dams, nuclear reactors and wind turbines, all items that Impsa can supply. "And they want to support local manufacturing," Fernandez said. There has also been more direct intervention. IABD president Luis Alberto Moreno was one of Macri's first visitors at the Casa Rosada presidential palace after taking office, where the two shook hands on loans worth $5 billion to finance infrastructure investment. The two met again in July at a presidential summit in southern Chile. Two weeks later, Impsa was able to tell the market that it had reached a deal with creditors, including IADB, to safeguard the company's future. "We have reached a very good deal, which resolves our financial issues, meaning Impsa is in optimal condition to continue in the market," Fernandez said. Under the restructuring, IADB becomes one of Impsa's largest shareholders with a 15% stake. Other shareholders include Argentina's state-owned bank, Banco Nacion. The Perscamona family, which founded Impsa, has seen its total stake reduced from 65% to 35%. Contacted by Windpower Monthly, a spokesman for the multilateral lender refused to comment on the issue, noting that there is still litigation pending before the Argentinean courts. But Fernandez said that any dispute has been resolved. "There was no conflict, just complex negotiations." A definitive agreement is due to be signed by the end of the year. Shortly after the IADB deal Impsa inaugurated a new wind-turbine factory in the west of the country. The company invested $20 million to refurbish part of its Mendoza production hub to house the factory, which has the capacity to produce 150 turbines a year. The new factory follows a government programme led by Impsa to develop a new generation of wind turbines based on the company's 100 years of experience in manufacturing and the particularities of wind in South America. The result, the 103-metre diameter Unipower IWR100 turbine, is the only turbine to be wholly designed and manufactured in Argentina. Work is already under way at the Mendoza site to produce 26 of the turbines for the fourth stage of the Arauco wind farm, Argentina's largest, which will produce an average of 177TWh of electricity a year. Depending on demand, capacity at the plant could be ramped up to 300 turbines a year within six months. With the new factory, Impsa is looking to take advantage of Argentina's Renovar renewable-energy programme, which offers additional tax breaks depending on how much of a project is manufactured locally.